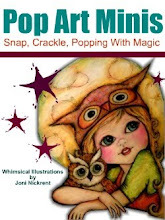 Pop Art Minis: Illustration Friday...."SWEPT" Up! Up! And Away! 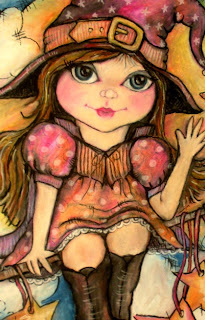 Illustration Friday...."SWEPT" Up! Up! And Away! 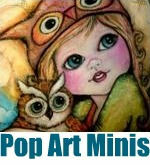 My latest Halloween Pop Art Mini has been transformed from pencil sketch to "pops" of color! And with her magical broom she was my submission for Illustration Friday word prompt SWEPT! 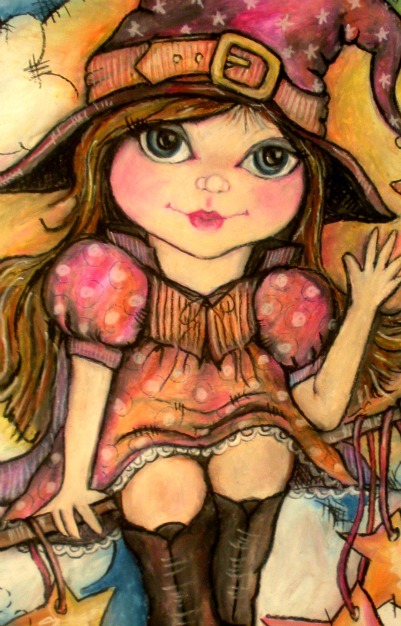 So off she went on a fantastical journey from here to there and everywhere in between! Get Swept Up! Up! 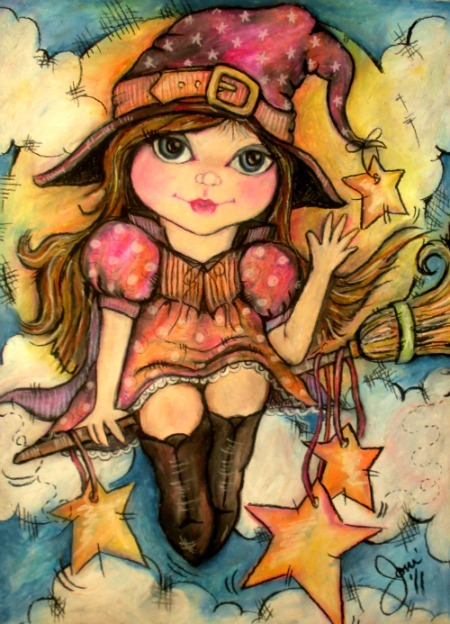 And Away on a BeWitchingly Magical Day! it's like she's saying ta ta... of to spread more magic. I love Halloween and I'm thrilled to get an adorable dose of it from your blog lately! (And I look forward to Christmas in July! hee hee) Yay! Congratulations on the licensing!!! That's so exciting! Wheee!!! 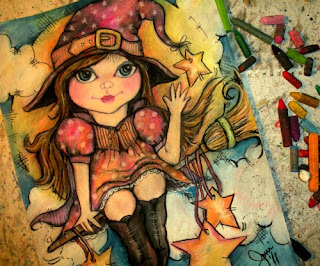 Such a cute little witch! I love the rich vintage look of this piece.